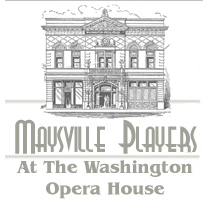 View the Maysville Bus Schedule in PDF format. **Available to Maysville residents over 60 years of age. ID with birth date and address is required. Senior passes are available at City Hall, Mon.-Fri. 8:30-11:30 a.m., 12:30-4:30 p.m. Monthly bus passes may be purchased at Maysville Municipal Building. The cost is $15 per pass, and passes are good only for the month designated on the pass. Lost passes will not be replaced. * Limit 2 children may ride free per monthly pass holder. The City Clerk issues senior citizens photo ID bus passes to City residents age 60 and older. Bus passes may be acquired 8:30-11:30 and 12:30-4:30, Monday-Friday at Maysville Municipal Building. A photo ID with proof of age and city residence is required. Because every corner along the route is a bus stop, people standing at a corner may not be waiting for a bus. The driver can only be sure you are a bus rider if you wave as the bus approaches. Flagging eliminates unnecessary stops and guarantees you faster, more efficient bus service. So wave, ride and enjoy. When you wish to get off, let the driver know by pulling the cord above your window 2/3 of a block before your stop. This gives the driver plenty of time to pull over and let you off. For your benefit and the benefit of others, Maysville City Transit requests that you refrain from smoking while riding the bus. Not only is this a law, but it also keeps your bus cleaner, and you are not infringing on the rights of non-smokers. After all, it’s their bus, too. If you lose an item, call 759-0419 Monday through Friday from 7 a.m. to 3:30 p.m. If you find an item, give it to your bus driver. Maysville Transit System operates a Deviated Fixed-Route in Maysville. Deviations will be made for the geeneral public with and without disabilities. Passengers who live within ¾ of a mile from route may request an additional stop. If you request an additional stop you must contact Maysville Transit System 24-hours in advance for a deviation from the route. Maysville Transit provides service for those with accessible needs. Call Maysville Transit System at 759-0419 Monday-Friday 7 a.m.to 3:30 p.m. to schedule an additional stop from the Deviated Fixed-Route. Maysville Transit System (MTS) is committed to serving persons with disabilities. We back the commitment by providing services that make public transportation both easy and pleasant for persons with disabilities. Maysville Transit System (MTS) will make reasonable modifications/accommodations to its operating policies, practices, and procedures to ensure program accessibility. The nature of an individual’s disability will not preclude Maysville Transit System (MTS) from providing full access to its services. It is not actually necessary in order for the individual with the disability to access the service. Results is an undue financial and administrative burden for Maysville Transit System. Maysville Transit System operates its programs without regard to race, color, or national origin. To file a discrimination complaint, the written complaint must be filed to the address above within 30 days of the alleged discrimination. To accommodate limited English proficient individuals, oral complaints to be documented and /or translated may also be given at the above address. Written complaints may also be filed with the U.S. Department of Transportation/Federal Transit Administration (FTA) no later than 180 days after the date of the alleged discrimination, unless the time for filing is extended by FTA.